Hugo Mercier, Guy Politzer, Dan Sperber (2017) What causes failure to apply the Pigeonhole Principle in simple reasoning problems? Thinking & Reasoning 23(2), 184-189. Olivier Mascaro, Olivier Morin, Dan Sperber (2017) Optimistic expectations about communication explain children’s difficulties in hiding, lying, and mistrusting liars. Journal of Child Language 44(5), 1041-1064. Thom Scott-Phillips & Dan Sperber (2015) The mutual relevance of teaching and cultural attraction (Commentary on M. A. Kline “How to learn about teaching: An evolutionary framework for the study of teaching behavior in humans and other animals”). Behavioral and Brain Sciences 38, 44-45. Abstract: there is an important relationship between cultural attraction and teaching. The very function of teaching is to make the content taught an attractor. Teaching, moreover, typically fulfills its function by exploiting a variety of factors of cultural attraction that help make its content learnable and teachable. Jérôme Prado, Nicola Spotorno, Eric Koun, Emily Hewitt, Jean-Baptiste Van der Henst, Dan Sperber, Ira Noveck (2015) Neural interaction between logical reasoning and pragmatic processing in narrative discourse. Journal of Cognitive Neuroscience 27(4), 692-704. Abstract: Logical connectives (e.g., or , if, and not) are central to everyday conversation, and the inferences they generate are made with little effort in pragmatically sound situations. In contrast, the neural substrates of logical inference-making have been studied exclusively in abstract tasks where pragmatic concerns are minimal. Here, we used fMRI in an innovative design that employed narratives to investigate the interaction between logical reasoning and pragmatic processing in natural discourse. Dan Sperber, Deirdre Wilson (2015) Beyond speaker’s meaning. Croatian Journal of Philosophy XV(44), 117-149. Abstract: Our main aim is to show that constructing an adequate theory of communication involves going beyond Grice’s notion of speaker’s meaning. We argue that the characterisation of ostensive communication introduced in relevance theory can provide a conceptually unified explanation of a much wider range of communicative acts than Grice was concerned with, including cases of both ‘showing that’ and ‘telling that’, and with both determinate and indeterminate import. Nicolas Claidière, Thom Scott-Phillips, Dan Sperber (2014) How Darwinian is cultural evolution? Philosophical Transactions of the Royal Society B 369, 20130368. Dan Sperber (2013) Speakers are honest because hearers are vigilant: Reply to Kourken Michaelian. Episteme 10(1), 61-71. Abstract: In “The evolution of testimony: Receiver vigilance, speaker honesty, and the reliability of communication”, Kourken Michaelian questions the basic tenets of our article “Epistemic vigilance” (Sperber et al. 2010). Here I defend against Michaelian’s criticisms the view that epistemic vigilance plays a major role in explaining the evolutionary stability of communication and that the honesty of speakers and the reliability of their testimony are, to a large extent, an effect of hearers’ vigilance. Nicolas Baumard, Jean-Baptiste André & Dan Sperber (2013) A mutualistic approach to morality: The evolution of fairness by partner choice. Behavioral and Brain Sciences 36, 59-122. Abstract: What makes humans moral beings? This question can be understood either as a proximate ‘how’ question or as an ultimate ‘why’ question. The ‘how’ question is about the mental and social mechanisms that produce moral judgments and interactions, and has been investigated by psychologists and social scientists. The ‘why’ question is about the fitness consequences that explain why humans have morality, and has been discussed by evolutionary biologists in the context of the evolution of cooperation. Our goal here is to contribute to a fruitful articulation of such proximate and ultimate explanations of human morality. We do so by developing an approach focusing on recent developments in the study of mutualistic forms of cooperation and on their relevance to fairness-based morality. Dan Sperber & Nicolas Baumard (2012) Moral reputation: An evolutionary and cognitive perspective. Mind & Language 27(5), 485-518. Abstract: From an evolutionary point of view, the function of moral behaviour may be to secure a good reputation as a co-operator. The best way to do so may be to obey genuine moral motivations. Still, one’s moral reputation maybe something too important to be entrusted just to one’s moral sense. A robust concern for one’s reputation is likely to have evolved too. Here we explore some of the complex relationships between morality and reputation both from an evolutionary and a cognitive point of view. Dan Sperber & Hugo Mercier (2012) Reasoning as a social competence. In H. Landemore & J. Elster (eds. ), Collective Wisdom: Principles and Mechanisms (Cambridge University Press), 368-392. Deirdre Wilson & Dan Sperber (2012) Explaining irony. In D. Wilson & D. Sperber, Meaning and Relevance. (Cambridge University Press), 123-145. A new essay on irony, chapter 6 in Deirdre Wilson and Dan Sperber (2012) Meaning and Relevance, pp. 123-145. Hugo Mercier & Dan Sperber (2012) “Two heads are better” stands to reason. Science (Letter) 336, 979. Short commentary on Asher Koriat (2012): When Are Two Heads Better than One and Why? Science 336, 360. Nicolas Baumard & Dan Sperber (2012) Evolutionary and cognitive anthropology [perspective on morality]. In D. Fassin (ed. ), A Companion to Moral Anthropology. (Wiley-Blackwell), 611-627. Dan Sperber (2012) Cultural attractors. In J. Brockman (ed. ), This will make you smarter. (Harper), 180-183. A short and popular presentation of the notion of ‘cultural attractor’. Dan Sperber (2011) A naturalistic ontology for mechanistic explanations in the social sciences. In P. Demeulenaere (ed. ), Analytical sociology and social mechanisms. (Cambridge University Press), 64-77. Dan Sperber, Anne Coubray, Yann Schmitt (2011) Entretien avec Dan Sperber: Naturalisme, sciences cognitives et religion. Revue en ligne ThéoRèmes mis en ligne le 06 février 2011. Hugo Mercier & Dan Sperber (2011) Why do humans reason? Arguments for an argumentative theory. Behavioral and Brain Sciences 34(2), 94-111. Abstract: Reasoning is generally seen as a mean to improve knowledge and make better decisions. Much evidence, however, shows that reasoning often leads to epistemic distortions and poor decisions. This suggests rethinking the function of reasoning. Our hypothesis is that the function of reasoning is argumentative. It is to devise and evaluate arguments intended to persuade. Reasoning so conceived is adaptive given human exceptional dependence on communication and vulnerability to misinformation. A wide range of evidence in the psychology or reasoning and decision making can be reinterpreted and better explained in the light of this hypothesis. Dan Sperber (2010) The Guru Effect. Review of Philosophy and Psychology 1(4), 583-592. Abstract: Obscurity of expression is considered a flaw. Not so, however, in the speech or writing of intellectual gurus. All too often, what readers do is judge profound what they have failed to grasp. Here I try to explain this “ guru effect ” by looking at the psychology of trust and interpretation, at the role of authority and argumentation, and at the effects of these dispositions and processes when they operate at a population level where, I argue, a runaway phenomenon of overappreciation may take place. Dan Sperber, Fabrice Clément, Christophe Heintz, Olivier Mascaro, Hugo Mercier, Gloria Origgi, Deirdre Wilson (2010) Epistemic vigilance. Mind & Language 25(4), 359-393. Abstract: Humans depend massively on communication with others, but this leaves them open to the risk of being accidentally or intentionally misinformed. We claim that humans have a suite of cognitive mechanisms for epistemic vigilance to ensure that communication remains advantageous despite this risk. Here we outline this claim and consider some of the ways in which epistemic vigilance works in mental and social life by surveying issues, research and theories in different domains of philosophy, linguistics, cognitive psychology and the social sciences. Nicolas Baumard & Dan Sperber (2010) Weird people, yes but also weird experiments? (Commentary on: Joseph Henrich, Steven J. Heine, Ara Norenzayan (2010) The weirdest people in the world? ), Behavioral and Brain Sciences 33, 80-81. Abstract: While we agree that the cultural imbalance in the recruitment of participants in psychology experiments is highly detrimental, we emphasize the need to complement this criticism with a warning about the “weirdness” of some cross-cultural studies showing seemingly deep cultural differences. We take the example of economic games and suggest that the variety of results observed in these games may not be due to deep psychological differences per se, but rather due to different interpretations of the situation. Nicolas Baumard, Pascal Boyer, Dan Sperber (2010) Evolution of fairness: cultural variability. Science 329, 388-389. Letter to Science discussing: Henrich, J., Ensimger, J., McElreath, R., Barr, A., Barrett, C., Bolyanatz, A., Cardenas, J. C., Gurven, M., Gwako, E., Henrich, N., Lesorogol, C., Marlowe, F., Tracer, D., Ziker, J. (2010) Markets, Religion, Community Size, and the Evolution of Fairness and Punishment. Science, 327, 1480-1484. Nicolas Claidière & Dan Sperber (2010) The natural selection of fidelity in social learning. Communicative & Integrative Biology 3(4), 1-2. Abstract: Social learning mechanisms are usually assumed to explain both the spread and the persistence of cultural behaviour. In a recent article, we showed that the fidelity of social learning commonly found in transmission chain experiments is not high enough to explain cultural stability. Here we want to both enrich and qualify this conclusion by looking at the case of song transmission in song birds, which can be faithful to the point of being true replication. We argue that this high fidelity results from natural selection pressure on cognitive mechanisms. This observation strengthens our main argument. Social learning mechanisms are unlikely to be faithful enough to explain cultural stability because they are generally selected not for high fidelity but for generalisation and adjustment to the individual’s needs, capacities and situation. distinction in a massively modular view of the human mind where metarepresentational modules play an important role in explaining the peculiarities of human psychological evolution. We defend the hypothesis that the main function of reflective inference is to produce and evaluate arguments occurring in interpersonal communication (rather than to help individual ratiocination). This function, we claim, helps explain important aspects of reasoning. We review some of the existing evidence and argue that it gives support to this approach. Abstract: We propose a principled distinction between two types of inferences: ‘intuitive inference’ and ‘reflective inference’ (or reasoning proper). We ground this distinction in a massively modular view of the human mind where metarepresentational modules play an important role in explaining the peculiarities of human psychological evolution. We defend the hypothesis that the main function of reflective inference is to produce and evaluate arguments occurring in interpersonal communication (rather than to help individual ratiocination). This function, we claim, helps explain important aspects of reasoning. We review some of the existing evidence and argue that it gives support to this approach. Olivier Mascaro & Dan Sperber (2009) The moral, epistemic, and mindreading components of children’s vigilance towards deception. Cognition 112, 367-380. Abstract: Vigilance towards deception is investigated in 3- to-5-year-old children: (i) In study 1, children as young as 3 years of age prefer the testimony of a benevolent rather than of a malevolent communicator. (ii) In study 2, only at the age of four do children show understanding of the falsity of a lie uttered by a communicator described as a liar. (iii) In study 3, the ability to recognize a lie when the communicator is described as intending to deceive the child emerges around four and improves throughout the fifth and sixth year of life. On the basis of this evidence, we suggest that preference for the testimony of a benevolent communicator, understanding of the epistemic aspects of deception, and understanding of its intentional aspects are three functionally and developmentally distinct components of epistemic vigilance. Dan Sperber (2009) Culturally transmitted misbeliefs (Commentary on Ryan T. McKay & Daniel C. Dennett, “The evolution of misbelief”). Behavioral and Brain Sciences 32, 534-535. Abstract: Most human beliefs are acquired through communication, and so are most misbeliefs. Just like the misbeliefs discussed by McKay & Dennett (M&D), culturally transmitted misbeliefs tend to result from limitations rather than malfunctions of the mechanisms that produce them, and few if any can be argued to be adaptations. However, the mechanisms involved, the contents, and the hypothetical adaptive value tend to be specific to the cultural case. Dan Sperber (2009) Allocution du Prix Claude Lévi-Strauss. Dan Sperber (2009) L’effet gourou. L’autre côté 1, 17-23. Nicolas Claidière & Dan Sperber (2009) Imitation explains the propagation, not the stability of animal culture. Proceedings of the Royal Society B. 277(1681), 651-659. Abstract: For acquired behaviour to count as cultural, two conditions must be met: it must propagate in a social group, and it must remain stable across generations in the process of propagation. It is commonly assumed that imitation is the mechanism that explains both the spread of animal culture and its stability. We review the literature on transmission chain studies in chimpanzees and other animals, and we use a formal model to argue that imitation, which may well play a major role in the propagation of animal culture, cannot be considered faithful enough to explain its stability. We consider the contribution that other psychological and ecological factors might make to the stability of animal culture observed in the wild. Dan Sperber & Deirdre Wilson (2008) A deflationary account of metaphors. In R. Gibbs (ed. ), Handbook of Metaphor and Thought. (Cambridge University Press), 84-105. Coralie Chevallier, Ira Noveck, Lewis Bott, Valentina Lanzetti, Tatiana Nazir, Dan Sperber (2008) Making disjunctions exclusive. Quarterly Journal of Experimental Psychology 61(11), 1741-1760. Abstract: This work examines how people interpret the sentential connective “or”, which can be viewed either inclusively (A or B or both) or exclusively (A or B but not both). Drawing on prior work concerning quantifiers (Noveck, 2001; Noveck & Posada, 2003; Bott & Noveck, 2004) and following a relevance-theoretic line of argument, we hypothesized that conditions encouraging more processing effort would give rise to more pragmatic inferences and hence to more exclusive interpretations of the disjunction. This prediction was confirmed in three experiments. Dan Sperber & Nicolas Claidière (2008) Defining and explaining culture (comments on Richerson and Boyd, Not by genes alone). Biology and Philosophy 23, 283-292. Dan Sperber (2007) Rudiments d’un programme naturaliste. In M. Wieviorka (ed. ), Les Sciences Sociales en Mutation. (Sciences Humaines), 257-264. Dan Sperber (2007) Rudiments of cognitive rhetoric. Rhetoric Society Quarterly 37(4), 361-400. Nicolas Claidière & Dan Sperber (2007) The role of attraction in cultural evolution. Journal of Cognition and Culture 7, 89-111. Abstract: Henrich and Boyd (2002) were the first to propose a formal model of the role of attraction in cultural evolution. They came to the surprising conclusion that, when both attraction and selection are at work, final outcomes are determined by selection alone. Th is result is based on a determistic view of cultural attraction, different from the probabilistic view introduced in Sperber (1996). We defend this probabilistic view, show how to model it, and argue that, when both attraction and selection are at work, both affect final outcomes. Luca Surian, Stefiania Caldi, Dan Sperber (2007) Attribution of beliefs by 13-month-old infants. Psychological Science 18, 580-586. Abstract: In two experiments, we investigated whether 13-month-old infants expect agents to behave in a way consistent with information to which they have been exposed. Infants watched animations in which an animal was either provided information or prevented from gathering information about the actual location of an object. The animal then searched successfully or failed to retrieve it. Infants’ looking times suggest that they expected searches to be effective when—and only when—the agent had had access to the relevant information. This result supports the view that infants’ possess an incipient metarepresentational ability that permits them to attribute beliefs to agents. We discuss the viability of more conservative explanations and the relationship between this early ability and later forms of ‘theory of mind’ that appear only after children have become experienced verbal communicators. Dan Sperber & Lawrence Hirschfeld (2007) Culture and modularity. In P. Carruthers, S. Laurence, S. Stich (eds. 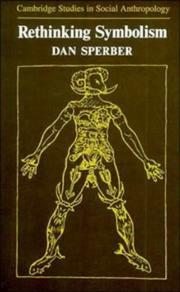 ), The Innate Mind: Culture and Cognition. (Oxford University Press), 149-164. Dan Sperber (2007) Cultura e modularità. French original in J-P. Changeux (ed. ), Gènes et Culture. (Odile Jacob), 277-299. Dan Sperber (2006) Why a deep understanding of cultural evolution is incompatible with shallow psychology. In N. Enfield & S. Levinson (eds. ), Roots of Human Sociality. (Bloomsbury), 431-449. Dan Sperber & Nicolas Claidière (2006) Why modeling cultural evolution is still such a challenge. Biological Theory 1(1), 20-22. Dan Sperber & Gloria Origgi (2005) Pourquoi parler, comment comprendre? In J-M. Hombert, (ed.) L’origine de l’homme, du langage et des langues. (Fayard), 236-253. Dan Sperber (2005) Conceptual tools for a naturalistic approach to cultural evolution. In S. Levinson & P. Jaisson (eds. ), Evolution and Culture. (MIT Press), 147-166. The studies reported in this chapter test predictions directly inspired by central tenets of relevance theory and, in particular, by the cognitive and the communicative principles of relevance. Dan Sperber & Lawrence Hirschfeld (2004) The cognitive foundations of cultural stability and diversity. Trends in Cognive Science 8, 40-46. Abstract: The existence and diversity of human cultures are made possible by our species-specific cognitive capacities. But how? Do cultures emerge and diverge as a result of the deployment, over generations and in different populations, of general abilities to learn, imitate and communicate? What role if any do domain-specific evolved cognitive abilities play in the emergence and evolution of cultures? These questions have been approached from different vantage points in different disciplines. Here we present a view that is currently developing out of the converging work of developmental psychologists, evolutionary psychologists and cognitive anthropologists. Deirdre Wilson & Dan Sperber (2004) Relevance Theory. In L. R. Horn & G. Ward (eds. ), The Handbook of Pragmatics. (Blackwell), 607-632. Version française de “Why rethink interdisciplinarity?” Texte discuté dans le cadre du séminaire virtuel Rethinking interdisciplinarity / Repenser l’interdisciplinarité à www.interdisciplines.org (où l’intégralité de la discussion est en ligne). Dan Sperber & Vittorio Girotto (2002) Use or misuse of the selection task? Rejoinder to Fiddick, Cosmides, and Tooby. Cognition 85, 277-290. Abstract: Sperber, Cara, and Girotto (1995) argued that, in Wason’s selection task, relevance-guided comprehension processes tend to determine participants’ performance and pre-empt the use of other inferential capacities. Because of this, the value of the selection task as a tool for studying human inference has been grossly overestimated. Fiddick, Cosmides, and Tooby (2000) argued against Sperber et al. that specialized inferential mechanisms, in particular the “social contract algorithm” hypothesized by Cosmides (1989), pre-empt more general comprehension abilities, making the selection task a useful tool after all. We rebut this argument. We argue and illustrate with two new experiments, that Fiddick et al. mix the true Wason selection task with a trivially simple categorization task superficially similar to the Wason task, yielding methodologically flawed evidence. We conclude that the extensive use of various kinds of selection tasks in the psychology of reasoning has been quite counter-productive and should be discontinued. Maurice Bloch & Dan Sperber (2002) Kinship and evolved psychological dispositions: The Mother’s Brother controversy reconsidered. Current Anthropology 43(4), 723-748. Abstract: This article revisits the old controversy concerning the relation of the mother’s brother and sister’s son in patrilineal societies in the light both of anthropological criticisms of the very notion of kinship and of evolutionary and epidemiological approaches to culture. It argues that the ritualized patterns of behavior discussed by Radcliffe-Brown, Goody, and others are to be explained in terms of the interaction of a variety of factors, some local and historical, others pertaining to general human dispositions. In particular, an evolved disposition to favor relatives can contribute to the development and stabilization of these behaviors not by directly generating them but by making them particularly “catchy” and resilient. In this way, it is possible to recognize both that cultural representations and practices are specific to a community at a time in its history (rather than mere tokens of a general type) and that they are, in essential respects, grounded in the common evolved psychology of human beings. Jean-Baptiste Van der Henst, Laura Carles, Dan Sperber (2002) Truthfulness and relevance in telling the time. Mind and Language 17, 457-466. Abstract: Someone asked ‘What time is it?’ when her watch reads 3:08 is likely to answer ‘It is 3:10.’ We argue that a fundamental factor that explains such rounding is a psychological disposition to give an answer that, while not necessarily strictly truthful or accurate, is an optimally relevant one (in the sense of relevance theory) i.e. an answer from which hearers can derive the consequences they care about with minimal effort. A rounded answer is easier to process and may carry the same consequences as one that is accurate to the minute. Hence rounding is often a way of optimising relevance. Three simple experiments give support and greater precision to the view that relevance is more important than strict truthfulness in verbal communication. Deirdre Wilson & Dan Sperber (2002) Truthfulness and relevance. Mind 111 583. Abstract: This paper questions the widespread view that verbal communication is governed by a maxim, norm or convention of literal truthfulness. Pragmatic frameworks based on this view must explain the common occurrence and acceptability of metaphor, hyperbole and loose talk. We argue against existing explanations of these phenomena and provide and alternative account, based on the assumption that verbal communication is governed not by expectations of truthfulness but by expectations of relevance, which are raised by literal, loose and metaphorical talk alike. Sample analyses are provided, and some consequences of this alternative account are explored. Dan Sperber & Deirdre Wilson (2002) Pragmatics, modularity and mind-reading. Mind and Language 17, 3-23. Abstract: The central problem for pragmatics is that sentence meaning vastly underdetermines speaker’s meaning. The goal of pragmatics is to explain how the gap between sentence meaning and speaker’s meaning is bridged. This paper defends the broadly Gricean view that pragmatic interpretation is ultimately an exercise in mind-reading, involving the inferential attribution of intentions. We argue, however, that the interpretation process does not simply consist in applying general mind-reading abilities to a particular (communicative) domain. Rather, it involves a dedicated comprehension module, with its own special principles and mechanisms. We show how such a metacommunicative module might have evolved, and what principles and mechanisms it might contain. Contributo al convegno virtuale text-e, 2002, il primo convegno interamente virtuale dedicato all’impatto di Internet sul testo scritto, la lettura e la diffusione della conoscenza. Il convegno si è svolto dal 15 ottobre 2001 a fine marzo 2002. Su text-e troverete le dieci conferenze invitate e i dibattiti archiviati che hanno seguito ogni conferenza. Texte écrit en anglais, français et italien pour le colloque virtuel text-e, organisé par l’Association Euro-Edu, la Bibliothèque Publique d’Information du Centre Pompidou et la Société GiantChair, colloque consacré à explorer l’impact de l’Internet sur la lecture, l’écriture et la diffusion du savoir. Le colloque s’est déroulé du 15 octobre 2001 jusqu’à fin mars 2002; les débats peuvent être consultés sur le site du colloque ou dans Text-e: Le texte à l’heure de l’Internet, Gloria Origgi & Noga Arikha eds., 2003 Paris: Bibliothèque Publique d’Information. Text written in English, French and Italian for the virtual symposium text-e, organised by the Association Euro-Edu, the Bibliothèque Publique d’Information du Centre Pompidou and the Société GiantChair on the impact of the Web on reading, writing and the diffusion of knowledge. The symposium took place from October 15th 2001 until the end of March 2002. The debates can be read on the site of the symposium. Jean-Baptiste Van Der Henst, Dan Sperber, Guy Politzer (2002) When is a conclusion worth deriving? A relevance-based analysis of indeterminate relational problems. Thinking & Reasoning 8(1), 1-20. Dan Sperber (2001) L’individuel sous influence du collectif. La Recherche 344, 32-35. Dan Sperber (2001) An evolutionary perspective on testimony and argumentation. Philosophical Topics 29, 401-413. Vittorio Girotto, Markus Kemmelmeier, Dan Sperber, Jean-Baptiste Van der Henst (2001) Inept reasoners or pragmatic virtuosos? Relevance and the deontic selection task. Cognition 81, 69-76. Abstract: Most individuals fail the selection task, selecting P and Q cases, when they have to test descriptive rules of the form ªIf P, then Qº. But they solve it, selecting P and not-Q cases, when they have to test deontic rules of the form ªIf P, then must Qº. According to relevance theory, linguistic comprehension processes determine intuitions of relevance that, in turn, determine case selections in both descriptive and deontic problems. We tested the relevance theory predictions in a within-participants experiment. The results showed that the same rule, regardless of whether it is tested descriptively or deontically, can be made to yield more P and Q selections or more P and not-Q selections. We conclude that the selection task does not provide a tool to test general claims about human reasoning. Dan Sperber (2001) In Defense of massive modularity. In E. Dupoux (ed. ), Language, Brain and Cognitive Development: Essays in Honor of Jacques Mehler. (MIT Press), 47-57. Dan Sperber (2000) Metarepresentations in an evolutionary perspective. In D. Sperber (ed. ), Metarepresentations: A Multidisciplinary Perspective. (Oxford University Press), 117-137. Dan Sperber (2000) Introduction. In D. Sperber (ed. ), Metarepresentations. (Oxford University Press), 3-13. Gloria Origgi & Dan Sperber (2000) Evolution, communication, and the proper function of language. In P. Carruthers & A. Chamberlain (eds. ), Evolution and the Human Mind: Language, Modularity and Social Cognition. (Cambridge University Press), 140-169. Dan Sperber (2000) La communication et le sens. In Y. Michaud (ed. ), Qu’est-ce que l’humain? Université de tous les savoirs, volume 2. (Odile Jacob), 119-128. Dan Sperber (1999) Pour un utopisme raisonné. In R-P. Droit & D. Sperber, Des Idées qui viennent (Odile Jacob), 169-187. Roger-Pol Droit et moi avons publié en 1999 une discussion philosophique et politique entre nous en six parties, chacune introduite par un cour essai de l’un ou de l’autre. Voici le troisième de mes trois essais. Dan Sperber (1999) Voir autrement la culture. In R-P. Droit & D. Sperber, Des Idées qui viennent (Odile Jacob), 91-105. Roger-Pol Droit et moi avons publié en 1999 une discussion philosophique et politique entre nous en six parties, chacune introduite par un cour essai de l’un ou de l’autre. Voici le second de mes trois essais. Dan Sperber (1999) Naturaliser l’esprit. In R-P. Droit & D. Sperber, Des Idées qui viennent (Odile Jacob), 11-24. Roger-Pol Droit et moi avons publié en 1999 une discussion philosophique et politique entre nous en six parties, chacune introduite par un cour essai de l’un ou de l’autre. Voici le premier de mes trois essais. Dan Sperber & Lawrence Hirschfeld (1999) Culture, Cognition, and Evolution. In R. Wilson & F. Keil (eds. ), MIT Encyclopedia of the Cognitive Sciences (MIT Press), cxi-cxxxii. Dan Sperber (1998) Réponse à Gérard Lenclud. Communications 66, 185-192. Dan Sperber (1997) Intuitive and reflective beliefs. Mind and Language 12(1), 67-83. Dan Sperber (1997) Individualisme méthodologique et cognitivisme. In R. Boudon, F. Chazel & A. Bouvier (eds. ), Cognition et sciences sociales (Presse Universitaires de France), 123-136. The six essays collected in Explaining Culture: A Naturalistic Approach (Blackwell, 1996) are all arguments for, and contributions to an epidemiology of representations. Abstract: We propose a general and predictive explanation of the Wason Selection Task (where subjects are asked to select evidence for testing a conditional “rule”). Our explanation is based on a reanalysis of the task, and on Relevance Theory. We argue that subjects’ selections in all true versions of the Selection Task result from the following procedure. Subjects infer from the rule directly testable consequences. They infer them in their order of accessibility, and stop when the resulting interpretation of the rule meets their expectations of relevance. Subjects then select the cards that may test the consequences they have inferred from the rule. Order of accessibility of consequences and expectations of relevance vary with rule and context, and so, therefore, does subjects’ performance. By devising appropriate rule-context pairs, we predict that correct performance can be elicited in any conceptual domain. We corroborate this prediction with four experiments. We argue that past results properly reanalyzed confirm our account. We discuss the relevance of the Selection Task to the study of reasoning. Dan Sperber (1995) How do we communicate? In J. Brockman & K. Matson (eds. ), How things are: A science toolkit for the mind (Morrow), 191-199. Dan Sperber & Deirdre Wilson (1995) Postface. In Relevance: Communication and Cognition, Second Edition (Blackwell), 255-280. Dan Sperber (1994) Understanding verbal understanding. In J. Khalfa (ed. ), What is Intelligence? (Cambridge University Press), 179-198. Dan Sperber (1994) The modularity of thought and the epidemiology of representations. In L. A. Hirschfeld & S. A. Gelman (eds. ), Mapping the Mind: Domain Specificity in Cognition and Culture (Cambridge University Press), 39-67. Dan Sperber (1993) Remarques anthropologiques sur le relativisme moral. In J-P. Changeux (ed. ), Fondements naturels de l’éthique (Odile Jacob), 319-334. Résumé : On considère une série de distinctions : entre relativisme métaphysique et relativisme anthropologique, entre relativisme cognitif et relativisme moral, entre états mentaux et doctrines culturelles, entre justification et choix, entre morale et pratique, entre morale et convention, entre communauté morale et humanité, toutes pertinentes pour une évaluation du relativisme anthropologique en matière de morale. Faire ces distinctions permet montrer que le relativisme anthropologique classique souffrait de graves faiblesses conceptuelles et méthodologiques. Cependant, pour pouvoir évaluer la thèse relativiste elle même, il faudrait des recherches empiriques conceptuellement et méthodologiquement bien conçues qui sont bien trop rares en la matière. Deirdre Wilson & Dan Sperber (1993) Linguistic form and relevance. Lingua 90, 1-25. Deirdre Wilson & Dan Sperber (1993) Pragmatique et temps. Langages 112, 8-25. Dan Sperber (1993) Interpreting and explaining cultural representations. In G. Palsson (ed. ), Beyond Boundaries: Understanding, Translation and Anthropological Discourse (Berg), 162-183. Scott Atran & Dan Sperber (1991) Learning without teaching: its place in culture. In L. Landsmann (ed), Culture, schooling and psychological development (Ablex), 39-55. Deirdre Wilson & Dan Sperber (1990) Forme linguistique et pertinence. Cahiers de linguistique francaise 11: Marquage linguistique, inférence et interprétation dans le discours, 13-35. Dan Sperber (1990) The evolution of the language faculty: A paradox and its solution. Behavioral and Brain Sciences 13(4), 756-758. Dan Sperber (1989) L’étude anthropologique des représentations: problèmes et perspectives. In D. Jodelet (ed. ), Les représentations sociales (Presses Universitaires de France), 115-130. (1988) Le Relativisme en Anthropologie: Débat entre Paul Jorion et Dan Sperber. Revue du MAUSS Nouvelle série 1, 12-26. Paul Jorion et moi étions plus jeunes, mais le débat était déjà vieux! Dan Sperber & Deirdre Wilson (1987) Précis of Relevance Communication and Cognition, Behavioral and Brain Sciences 10, 697-754, with Commentaries and our response: Presumptions of relevance, Behavioral and Brain Sciences 10, 736-754. 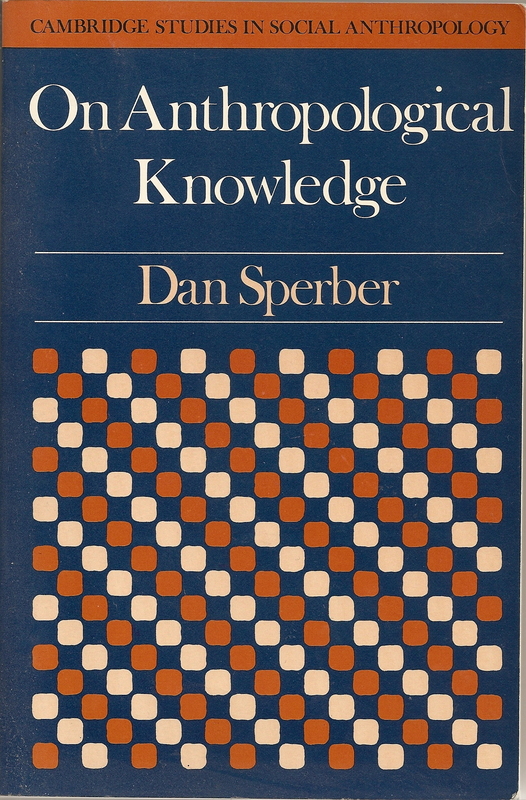 Dan Sperber (1987) Les sciences cognitives, les sciences sociales et le matérialisme. Le Débat 47, 105-115. Deirdre Wilson & Dan Sperber (1986) On defining relevance. In R. Grandy & R. Warner (eds. ), Philosophical grounds of rationality (Oxford University Press), 243-258. Dan Sperber & Deirdre Wilson (1986) Loose talk. Proceedings of the Aristotelian Society New Series LXXXVI, 153-171. Dan Sperber (1986) Issues in the ontology of culture. In R. B. Marcus et al. (eds. ), Logic, Methodology and Philosophy of Science VII. (Elsevier), 557-571. Dan Sperber & Deirdre Wilson (1982) Mutual knowledge and relevance in theories of comprehension. In N. Smith (ed. ), Mutual Knowledge (Academic Press), 61-131. Dan Sperber (1982) Apparently irrational beliefs. In S. Lukes & M. Hollis (eds. ), Rationality and relativism (Blackwell), 149-180. Deirdre Wilson & Dan Sperber (1981) Pragmatics. Cognition X(1-3), 281-286. Dan Sperber (1981) L’interprétation en anthropologie, L’Homme XXI(1), 69-92. Deirdre Wilson & Dan Sperber (1981/1979) On Grice’s theory of conversation. In P. Werth (ed. ), Conversation and discourse (Croom Helm), 155-178. Deirdre Wilson & Dan Sperber (1979) Ordered entailments: an alternative to presuppositional theories. In Choon-Kyu Oh & D. A. Dineen (eds. ), Syntax and semantics 11: Presuppositions (Academic Press), 299-323. Dan Sperber (1975) Rethinking Symbolism. Cambridge University Press. Dan Sperber (1975) Pourquoi les animaux parfaits, les hybrides et les monstres sont-ils bons à penser symboliquement? L’Homme XV(2), 5-24. Dan Sperber (1974) Contre certains a priori anthropologiques. In E. Morin and M. Piatelli-Palmarini (éds. ), L’unité de l’homme (Le Seuil), 491-512. Dan Sperber (1974) La notion d’aînesse et ses paradoxes chez les Dorzé d’Ethiopie méridionale. Cahiers Internationaux de Sociologie LVI, 63-78. Dan Sperber & Pierre Smith (1971) Mythologiques de Georges Dumézil. Annales XXVI, 559-586. Dan Sperber (1967) Leach et les anthropologues. Cahiers Internationaux de Sociologie XLIII, 123-142.